‘Natural Noir’. A Dining Room Inspired by Day and Night. Dining is not just about putting food on the table. Create a mood, set the scene and make every meal one to remember. We approached this design by observing the how a dining room feels at different times of the day. The changing light during morning, day and night can really affect how a dining room feels and the mood it creates. Whether its the glistening natural light during breakfast or the soft twilight of an evening dinner, light can really be one of the most important elements of a room. We decided we’d like to play with the idea of contrast through material, colour and texture. ‘Natural Noir’ is an exploration of the idea of contrasting light and the feeling that creates. 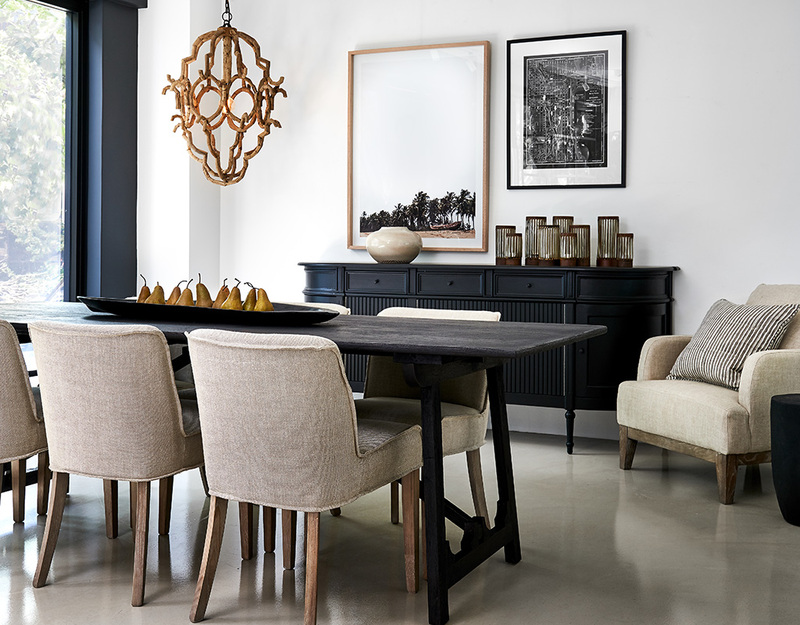 The palette of this dining room was divided into two elements – ‘Natural’ & ‘Noir’. The Natural elements of the room were chosen to exude a sense of relaxation and softness. We used recycled, raw and washed timbers to give a sense of something wholesome and organic. The natural linen and rustic votives add familiarity, comfort and tactility. The Noir elements, in direct contrast, provide an anchor to the room. They have defining lines, depth, structure, symmetry and geometry. 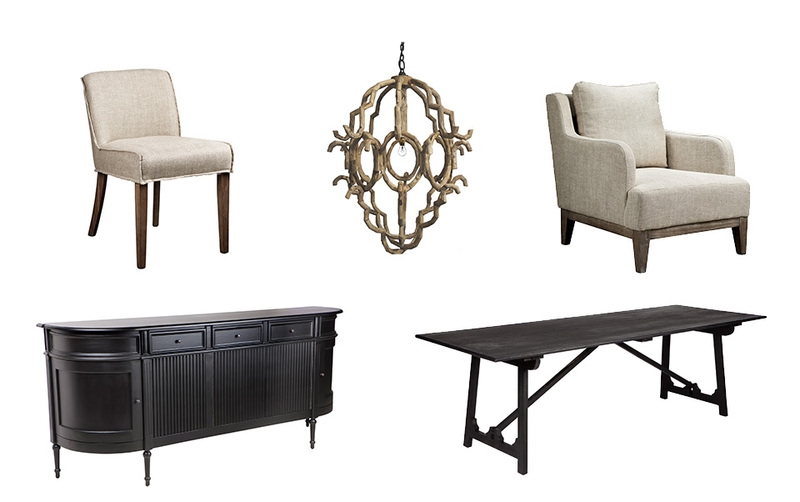 The Noir gives the space some formality and definition. 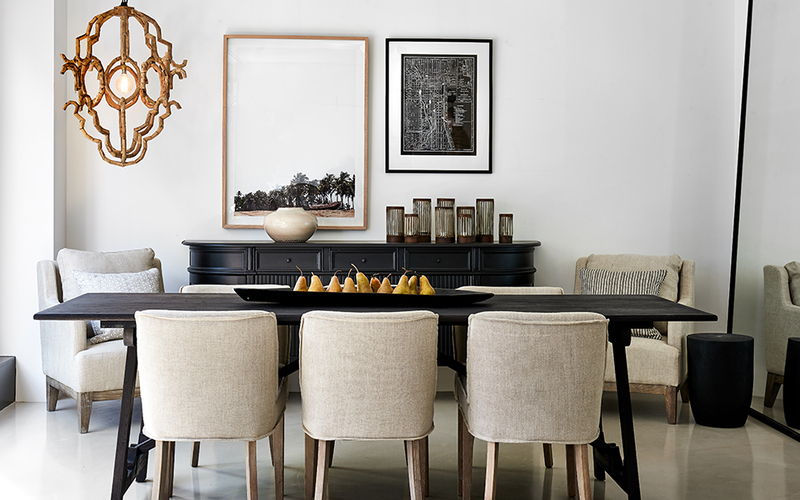 The design allowed the dining room to dance between casual and formal, just like the light.